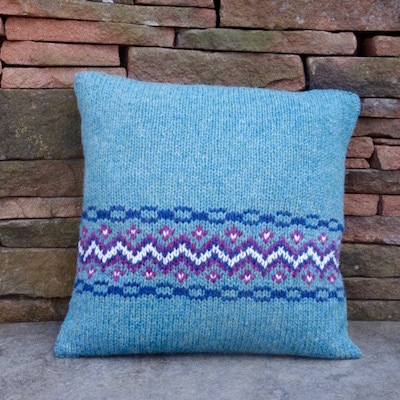 This Lund cushion kit was inspired by the wonderful patterns in the sand on the deserted Lund beach on Unst, the northernmost island of the Shetlands, and is knitted with beautiful Herdwick / Blueface Leicester wool, from local Cumbrian farms, reflecting the multiple shades within the sand. 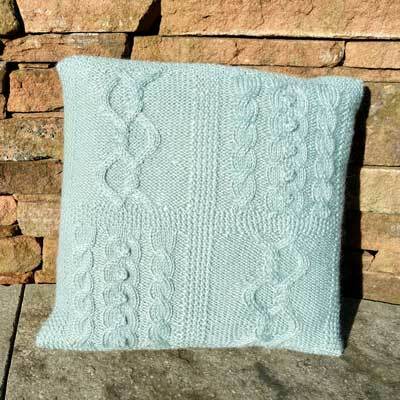 There are cabled and patterned sections on the front and the back is plain with a buttoned opening. 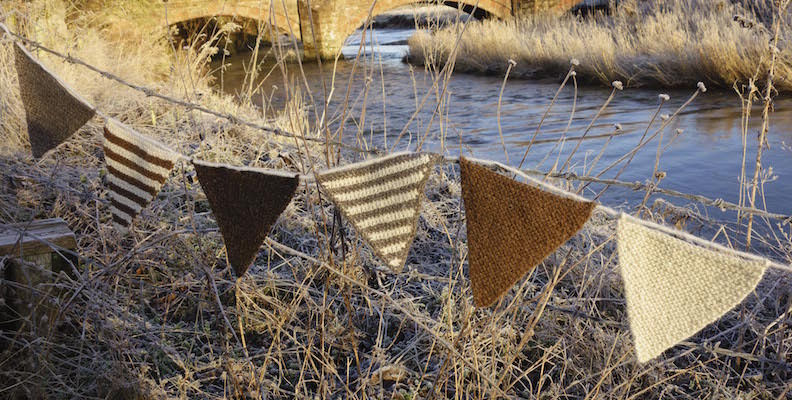 To ensure that the pattern is easy to follow, each line of the patterned section is written out as a 12-row repeat. Grey buttons are included, in colours to complement the wool. To complete the project you will require one pair of 4 mm straight needles, a cable needle and a 41 cm (16 inch) square cushion pad.